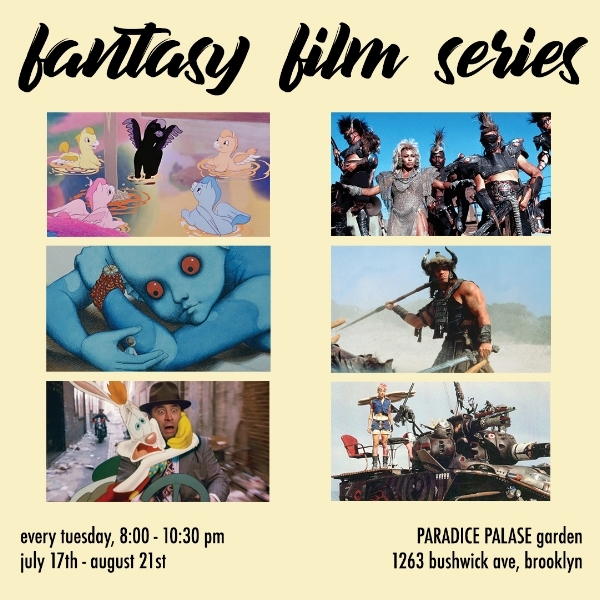 We've designed a casual and fun FREE movie series for this summer to screen in the PARADICE PALASE garden. As the perfect compliment to our open call exhibition, we will be hosting weekly on Tuesdays in July and August. Presented in two parts, we selected films featuring utopian and dystopian themes and worlds. july 31st - Who Framed Roger Rabbit? can't wait to see ya there!